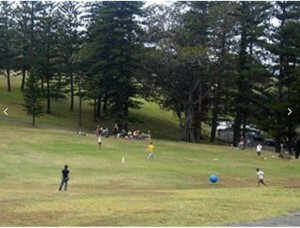 In 2014 and 2015, this blog featured my investigations into the Paddington Bowling Club's use of Crown land in Paddington and the use of the Talus Crown reserve in Willoughby by Love ‘N Deuce and its related charity Humpty Dumpty. It was obvious from these stories that problems of mismanagement and corruption had existed for some time in the Crown Lands department. Instead of protecting the public interest in Crown land, private groups seeking profit-making opportunities have been favoured by those whose responsibility it was to protect our public lands. An impressive network of public groups formed the Crown Land Alliance to campaign to protect Crown land and expose what they say was entrenched and systemic mismanagement by Crown Lands and local councils (which are responsible for managing most of our Crown reserves/open spaces). They were successful in forcing a Parliamentary Inquiry into this mismanagement. This Inquiry held its hearings in July and August 2016. These same groups were also instrumental in providing the NSW Auditor General with cases studies to assist in her own independent investigation into Crown lands mismanagement in NSW. The Department is not currently managing the sale and leasing of Crown land effectively. The Department has made some improvements recently, but these are not yet fully implemented and as such it needs to make a concerted effort to manage ongoing risks. The Department’s decision-making processes for selling or leasing Crown land are not clear to the general public or potential applicants for sales or leases. Negotiations are commonly held directly with selected applicants, with 97 per cent of leases and 50 per cent of sales directly negotiated over the past four years. You can find the Auditor General’s report here. On October 13, a NSW Parliamentary report into the management of Crown Land was tabled. It too found serious shortcomings in the administration of Crown land in NSW. The report makes various recommendations for any new legislation and gave the Government until 13 April 2017 to respond (that is, six months). But the Government responded within just six days, by introducing into the Upper House a new bill called the Crown Land Management Bill, which runs to over 200 pages. It is obvious that a complex Bill like this could not - in such a short time frame - have been redrafted to take account of the very recent scathing findings of both the Auditor General and the Upper House. Quite apart from the Bill failing to address the findings in these two reports, it seems clear enough on even a quick reading that the complex bill raises serious questions about whether it will (if passed) facilitate large scale transfers of public land into private hands, without sufficient protection of the public interest. There has not been enough reporting of this important issue. So I decided to publish a letter written by members of the Crown Land Alliance to all non-Coalition members of the Upper House seeking a deferral of the Bill to allow the community and members of Parliament more time to properly consider and assess its ramifications. The convenor of the Crown Land Alliance, John Owens, has told me it is most unusual and unfortunate that a bill of this importance and complexity was not preceded by an Exposure Draft. I now reproduce the letter from the Crown Land Alliance to the Upper House. We refer to our letter of 18 October 2016. On Thursday 20 October, some of our group spoke at a packed town hall meeting at Newcastle organised by Friends of King Edward Park on the Coalition’s new Crown Land Management Bill. It is fair to say there was palpable anger in the air. And it is fair to say you hold the future of our precious Crown reserves in your hands. It is trite, but it needs to be said: once gone, we will never get these precious open spaces back. Only now, a couple of days after the release of the Bill to the public, are the disturbing details of - or (more accurately) lack of details in - the new Bill starting to emerge. We have no doubt that the sensible legislative protections recommended in the recent Upper House Report on Crown land have not been included. A “legislative protection” that does little more than give the Minister unfettered discretion to ensure the “right thing” is done by the people of NSW, is not a legislative protection at all. The future of our public reserves should not be subject to the whim of any one individual. Given the growing distrust within the community of the current Government, it matters not that this all powerful individual just happens to be a Minister of the Crown. Surely we (the public) deserve legislative protections, not Ministerial discretions. You might recall it was in 1959 that our High Court enshrined into law Earl Bathurst’s direction to Governor Darling that he set aside land for public purposes like public recreation for the physical and spiritual health of the colony and to not allow on any account whatsoever their use or occupation for private purposes. We remind you again of the simple and enduring wisdom of this decision of the High Court in Rutledge: land held on trust for public recreation must remain open to the public generally as of right and not be a source of private profits (unless all profits are reinvested in the trust property). As Mr Owens recently submitted to the Supreme Court in Talus (judgment reserved), the essence of Rutledge is simply that reserves held on trust for public recreation must be shared fairly between the general public and no one group - profitable or otherwise - may monopolise or dominate possession. At a time when society is struggling with profound issues of mental and physical health, surely this is more important than ever. But now, the collective wisdom of Earl Bathurst and the High Court will be swept away by the new Bill: see clause 2.17. Quite apart from clause 2.17, the phrase - and the notion of a trust for - “public recreation” have effectively gone (see Schedule 7, clause 11(1)) and along with it the extensive jurisprudence on its meaning as carefully developed by the Courts over the past decades. And unlike the current Act that empowers the Minister to reserve land for “public purposes” (see s87(1) of the Crown Lands Act), the new Bill empowers the Minister to reserve land for any “purpose” (see clause 2.8) (obviously not just a “public purpose”). Given its inherent fairness, its perfect articulation of Australia’s fundamentally egalitarian society, why would any government wish to abandon Rutledge? Could it have anything to do with the fact that it is the High Court’s way of preventing privatisation by stealth of our public parks? Consider this extraordinary admission by Coalition MP Greg Pearce made during the Supplementary Budget Estimates hearing on 14 October 2016 just after testimony from Crown Lands’ Ms Alison Stone on aspects of the scathing Auditor General’s report on the mismanagement of our Crown estate: … Mr Smith, if you can get that business cleaned up and sorted out it might well be something that we can add to our asset recycling scheme and sell. Although Mr Pearce has clearly betrayed the Coalition’s long term privatisation designs on the Crown estate, the new Bill opens up two additional and more immediate avenues for privatisation. The first will come almost immediately from commercial operators being allowed by clause 2.17 to take over our Crown reserves; what has been happening unlawfully at reserves across NSW will now become lawful. The second will come more slowly as the inevitable outcome of shifting responsibility for our Crown reserves to a sector of government - local councils - who simply have neither the fundraising powers nor necessary governance procedures to ensure their ongoing ability to properly manage and care for these precious public resources. It is obvious that in time, local councils will reclassify these reserves as “operational land” (so they can be sold). It is not appropriate that the current protective legislation - introduced after such extensive bipartisan work by Labor and the Coalition in the late 1980s - be now abandoned with the introduction of a Bill kept from the community until the afternoon of 19 October 2016. The Bill will come on again for debate in a matter of weeks, perhaps less. the fact that the entirely discredited Trade & Investment/Crown Lands was largely responsible for the work underpinning Minister Blair’s new Bill. As time is running out, we ask that you meet with a delegation of our alliance as a matter of urgency to explain and better articulate the concerns underpinning this letter. Thanks to John Owens for his assistance with this post.